Raisin UK, the online savings marketplace, and Starling Bank, the next generation bank, are joining forces to give the nation’s savers better access to attractive interest rates. Under a new strategic partnership between the two companies, all new customers of Raisin UK will benefit from Starling Bank’s state-of-the-art account opening and transaction processing API infrastructure from September 2018. Raisin UK launched earlier this year to offer consumers a streamlined solution for finding, purchasing and managing a range of savings products. The partnership will enable the company to further build on the range of solutions it offers savers and to expand the network of partner banks that participate in the marketplace. The service integration is seamless for the consumer and delivers open banking advantages to Raisin UK customers, so they can share their banking data with trusted third parties offering the best savings rates. 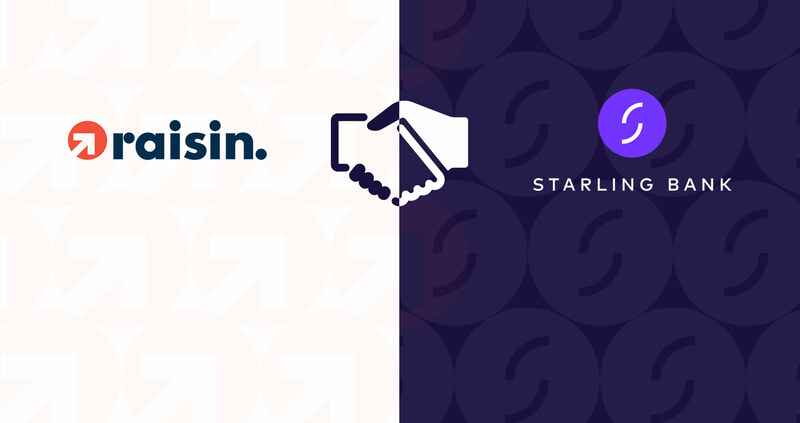 The strategic partnership will, over time, also enable existing Starling customers to benefit from Raisin UK partner bank offers through Starling’s own marketplace. Raisin UK is the British arm of leading European deposit marketplace raisin.com. Raisin was established in Berlin in 2013 and has quickly grown to be one of Europe’s leading financial technology (FinTech) businesses, with over €7 billion of savings deposits processed and more than 130,000 customers across Europe. Raisin has received over €70 million in funding from well-known names including PayPal, Thrive Capital, Ribbit Capital and Index Ventures. The UK marketplace launched in 2018 to enable consumers to view, purchase and manage a great range of savings products through one single login.